February 2019: Tips, eNews & More! We celebrated not only Berni's birthday but also celebrated her seven years here at Dr. Benedict's office. We have been blessed to have her here at our office. We are so happy to announce our newest member of our team. Please welcome our new receptionist, Jennifer. Your chance to win a $10 Olympus Burger Gift Card. Simply like our Facebook Page and tag a friend in the comments section of any February post on Facebook to be entered into this draw. Your oral health is integral to your overall health and often offers advance warnings of other serious medical conditions. 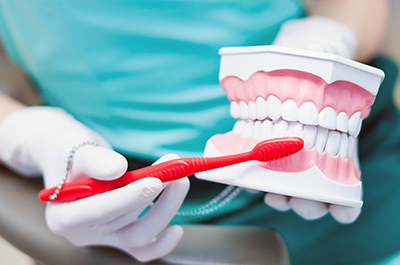 Here is our Top 10 list to help you keep your oral health in check. 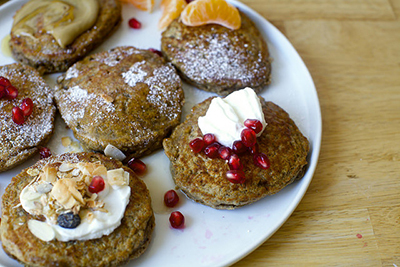 Weekday mornings are busy and rushed, and thinking about cooking pancakes is a big NO! But these banana oat pancakes require a bowl and a fork, and the batter is ready to be cooked and served with a topping of your choice. Super easy and a little healthy too!